I live and work in Europe. phew! my family is very large. You have a very bad reputation. Certainly, and one could say that with reason. I could pollute by myself up to 100,000 litres of water. It is, but that will only happen if you abandon me to my fate. Also, as I said, I’m not alone. 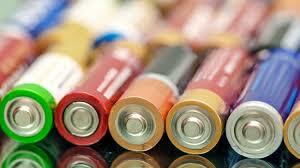 According to recent data, in Spain approximately 400 million batteries of all kinds are used for consumption annually. That’s more or lessbetween, 8,000 and 9,000 tons. Run the numbers, I’m everywhere: portable radio, torches, remote controls, remote control cars, dolls and many other energy saving devices that need me to work properly. Tell me about your toxicity. Depending on the type of battery it can be made of iron, manganese, zinc, cadmium, lead, mercury, arsenic… in different quantities. I’m only dangerous if you forget about me and throw me into the rubbish bin mixed with ordinary wastes, letting me degrade in contact with earth, air and water. Are you a time bomb? Is there any solution? Of course there are solutions. Note that currently between 55% and 75% of battery materials are reusable. And I, can I do something to help? You can do everything! Every year, in Spain, more than 3,000 tons of batteries are collected and recycled, approximately 40% of the batteries used. Many citizens are involved and recycle their batteries, but… they do it especially when, near their home, there are adequate collection points.